We are also a specialist in providing both individual and group travel city breaks to Bulgaria with a comprehensive range of tailor-made holidays and short breaks.City breaks are a great way to escape for a couple of days and give the feeling of having been away on a much longer holiday.The best thing about a city break is that instead of taking one long holiday each year, it can be squeezed in a couple of city breaks throughout the year. And this will give the possibility to really feel the benefit of escaping and to recharge batteries.With so much to see and do on a city break to Bulgaria, one can see the best ofSofia’s highlights and its surroundings during a stay. We have a hand-picked selection of hotels which we can combine with various excursions. 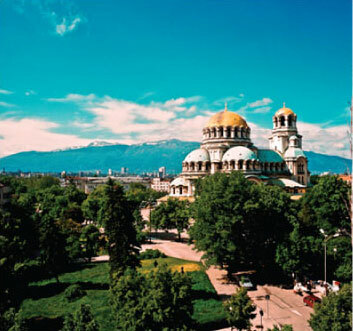 We can easily select a two-day weekend break or a more leisurely short break in Sofia and its surroundings to meet all client requirements.